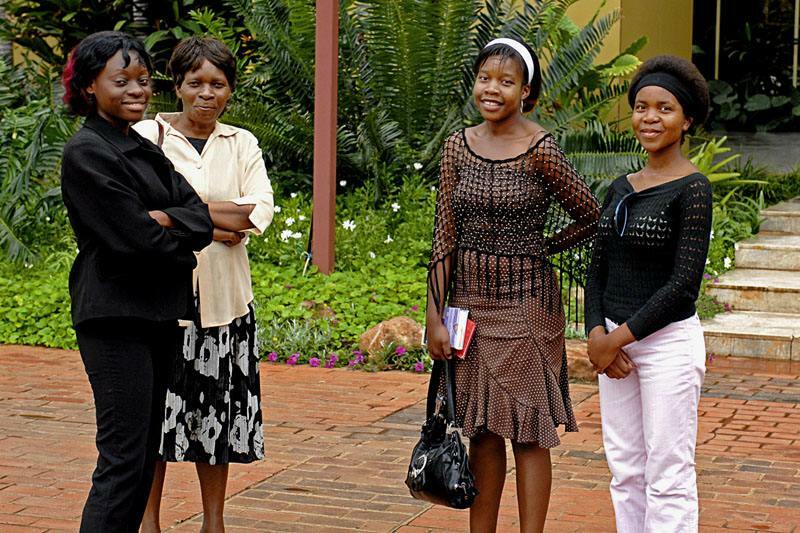 Middle east and Afica: Inheritance in Zimbabwe: Why widows get evicted? Activist, firebrand and feminist are just a few of the terms used to describe Priscilla Misihairabwi-Mushonga, a former opposition MP and cabinet minister in Zimbabwe. No one would call her a pushover. Yet despite her connections and some of the country’s finest lawyers arguing her case, after her husband’s death she was forced empty-handed out of her matrimonial home of 13 years. Before Ms Misihairabwi-Mushonga was widowed she and her late husband owned three houses, including one in the leafy suburb of Mt Pleasant in the north of Harare. They shared bank accounts and owned several cars. Some of this was left to her in a will. Yet after her husband’s death Ms Misihairabwi-Mushonga lost almost everything, even her clothes, to her late husband’s brother, various other in-laws and his children from an earlier marriage. “I am a typical example of a person who had access to information, a minister, but yet I woke up with nothing,” she says. Her destitution illustrates a wider problem. It is not only the government that grabs other people’s stuff in Zimbabwe, in-laws do it, too. Tens of thousands of widows are stripped of their property after the death of their husbands. A report released this week by Human Rights Watch (HRW) , an outfit based in New York, documents numerous cases of Zimbabwean widows losing their homes, the land that they had tended for years and even the fruit growing on their trees. Such abuses are common in many countries, HRW says. The Loomba Foundation, another NGO, estimates that 38m widows are extremely poor. In Zimbabwe the problem is acute because of short lifespans and the tendency of men to marry much younger women, particularly if they are rich. So the country has an alarming number of widows: more than half of women older than 60 have buried at least one husband. The dispossession of old women continues despite laws that, on paper, protect them from predatory in-laws. This is thanks to two quirks in Zimbabwe’s legal system. The first is a hangover from a tradition of “wife inheritance” or “kugara nhaka” whereby, in some parts of Zimbabwe, a widow (and thus all her property) is inherited by her husband’s brother. Although wives are no longer handed over these days, their homes and property still are. This is because the laws restraining in-laws only apply to women who can prove that they were married. But as many as 80% of marriages in the countryside are “customary” and not registered in writing anywhere, so widows going to court to enforce their rights end up having to ask their in-laws to confirm that they were indeed married. Given the loot at stake, many refuse to testify honestly. “Widows are forced to rely on the husband’s family, who stand to gain if they deny that the marriage took place,” says Bethany Brown of HRW. Many widows can’t get their property back without a lawyer, and can’t afford a lawyer until they get their property back. That they are often old and weak makes them even easier to push around. Solving the problem is not a question of passing new legislation but of extending the rule of written laws. Ms Misihairabwi-Mushonga predicts that widows will continue to be dispossessed so long as traditional views on marriage hold sway. 例句:She'd love us to get evicted! 例句:Some American statesmen hope to exert pressure on China so as to hold sway on the latter. 例句:So long as what you do is right, I'll go along with you. 例句:We don't like somebody coming in with lots of money and trying to push people around.